The inaugural Department Fertility Preservation Summit was held on Friday 6 May 2016. The summit was hosted by the Fertility Preservation Taskforce, a collaborative association of oncologists, fertility specialists, gynaecologists, and paediatric providers with the main objective of this group being to foster collaborative research and development in the area of fertility preservation. Dr Yasmin Jayasinghe from the Department of Obstetrics and Gynaecology heads the taskforce. Clinicians and researchers from The University of Melbourne, The Royal Children’s Hospital, and The Royal Women’s Hospital are part of this taskforce. 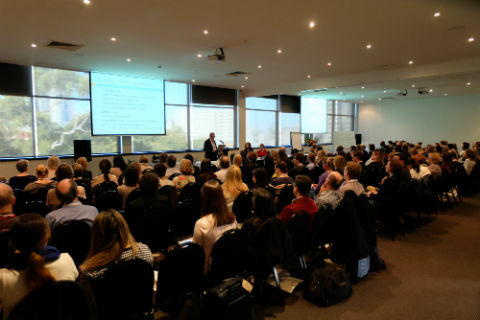 This summit brought together major Victorian Comprehensive Cancer Centre partners who are at the forefront of paediatric, adolescent and young adult fertility preservation nationally and globally; as well as consumers in order to highlight complexities in the field (clinical, psychological, scientific).